Queue Watch Barber Webcam - make your Queue work for you. So you have a queue? Great news - people love what you do - and are willing to wait for your services. But nowadays people rarely enjoy hanging around in a queue. 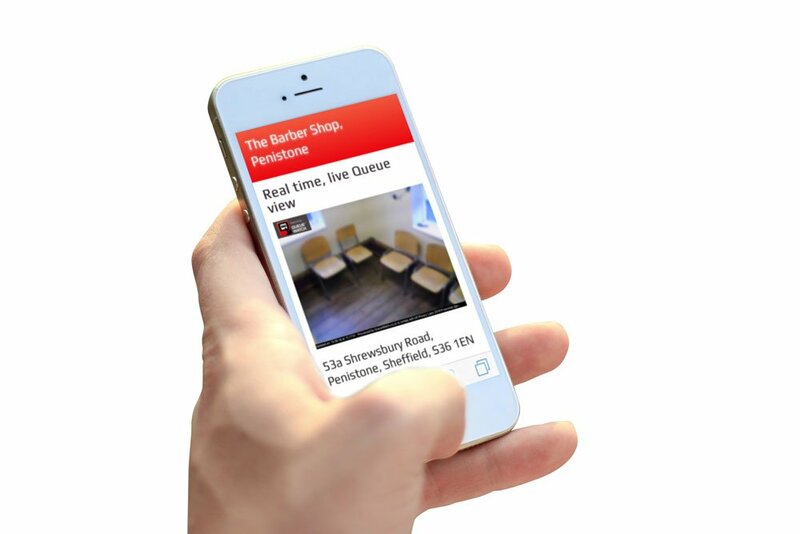 Give your customers the ultimate solution in their pocket with the bespoke web solution especially designed for barber shops. Whenever there is a queue - people want to avoid it. Barber shops are now among the few places where people have to sit and wait, but just like setting off on a journey by road, imagine if customers could check for congestion in the shop before they commit time to go for a haircut? Won't it put people off? If your shop is seen to be busy - instead of putting people off, invite them to take an appointment. Having one or two members of staff running an automated appointment system - and the rest on walk in - gives the opportunity for huge revenue increases. Keep your customers waiting time down - and your barbers busy - but not rushed - perfect. © 2019 Queue Watch All rights reserved. Site by Neway Technology Ltd.